These pads have been a champ at finishing down perfectly on all paint types I've used them on so far and have become my go-to for finishing when paired with the Perfecting Cream. Works great with the correcting cream. Griots has their pads and polish combinations perfected. 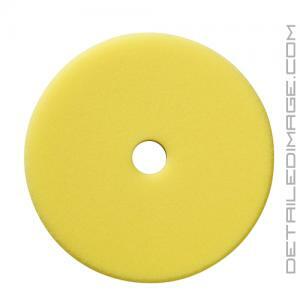 I love rupes, but not a big fan of their stiff pad so I figured I would give it a shot on BOSS yellow polishing pad for my rupes 21es and I absolutely love it. Pad is high quality and reuseable package it comes with is plus to me. I will be stocking up more BOSS pads for my rupes polisher. My favorite pad to use in the BOSS line up. I've used it with various polishes and haven't been left down. Haven't seen any micro-marring from using this (obviously) and would highly recommend it.